This design may be stitched on one piece of fabric or on nine pieces of linen and then joined together - If you decide to work the nine squares on different fabrics you must make sure that the fabrics are the same thread count. 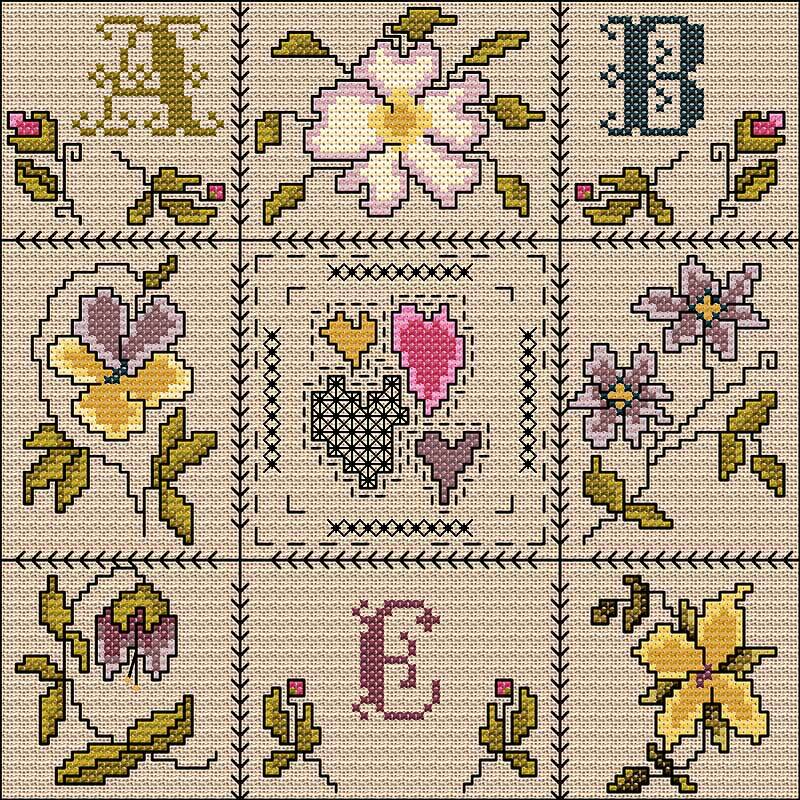 The flowers are stitched in cross stitch with the optional backstitch outline. Work the cross stitch, double cross stitch, adapted double cross stitch and fly stitch in two strands of stranded cotton.